The run-up to the Karnataka elections has seen some interesting political themes come to light. Here, I use the run-up to the elections to evaluate the issue of regional branch autonomy for the two main national parties – the Congress Party and the Bharatiya Janata Party (BJP) in Karnataka. What is regional branch autonomy, and why is it important? Regional branch autonomy is understood as the degree of freedom of the sub-national branch to conduct its affairs without interference from the central level. It includes the central branch’s control over regional branch in matters such as discipline, policy, campaigning, internal organisation, and importantly, candidate and leader selection. 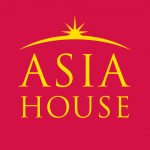 It is important to evaluate regional branch autonomy because autonomous regional party branches will be able to assert their independence from the party’s central branch and counter a regional party’s claim of ‘monopoly’ over the region’s interests. This is particularly important in a state that is formed on a regionalist identity and has a strong regional player. This is the case in Karnataka; which has a strong regionalist identity, and has a strong regional player, Janata Dal (Secular). From a national/polity-wide party’s perspective, autonomy for its sub-national units creates greater opportunities to keep diverse networks of regional political elites with contrasting political preferences within the party. It does so through allowing specific sub-national units to present regionalist messages without necessarily following a regionalist message at the central level. In addition, if polity-wide parties have autonomous sub-national branches, then regional elites are more likely to stay within polity-wide parties. This is because they will have control over resources and power at the sub-national level thereby discouraging regional elites from forming their own parties. The perfect example of this is B.S. Yeddyurappa, who left the BJP in 2011 because of increasing intervention from the BJP’s central branch. Later, he went on to form the Karnataka Janta Paksha (KJP) in 2012, but merged with BJP prior to the 2014 general elections. If regional branch autonomy is important in keeping diverse networks of politicians, and regional political elites, within the national party fold, why do national parties have varying levels of intra-party autonomy? Much of the existing literature on Indian politics has explained this by looking at the personalities of leaders either at the central or state level. However, while leadership strength is important, it misses a key underlying mechanism that drives it. Leaders, either at the central or the state-level, derive their strength from incumbency. By incumbency, I specifically mean the presence of the party’s central or regional branch in office either at the central or state level. (4) the party’s central and regional branch are in opposition. Scenario 2 and 3 are relatively easy to explain, in Scenario 2 regional branch autonomy will be high whereas in scenario 3 regional branch autonomy will be low. For scenarios 1 and 4, regional branch autonomy will be low in the Indian context because the central branch has (or the expectation to have in the case of opposition, scenario 4) access to more resources in comparison to the state-units. The Indian union is still politically and economically centralized in comparison to other federations. The above theoretical framework explains party strategies of the BJP and the Congress Party in Karnataka. Scenario 3 captures the situation for the BJP regional branch whereas Scenario 2 best captures the situation for the Congress. We should therefore expect the BJP regional branch to have less autonomy in comparison to the Congress regional branch. Do the expectations hold in the case of on-going electoral campaign in Karnataka? An election report by the Times of India reported that Congress Chief Minister Siddaramaiah had his “way” with the list of Congress candidates for the upcoming May 12 polls. 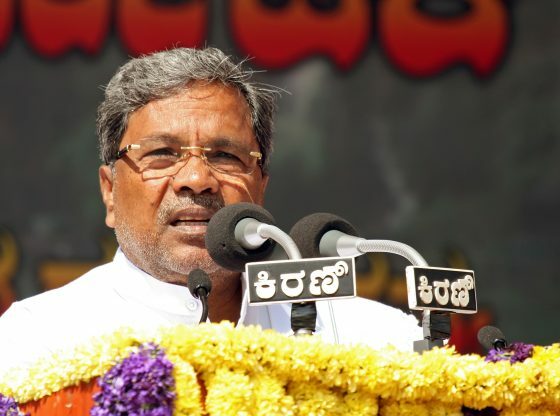 The report claimed that 90 percent of the first Congress lists of 136 candidates were Siddaramaiah’s nominees. Another example of the high-level of Congress regional branch autonomy is the Congress central branch granting Siddaramaiah’s wish of contesting from two seats. Many central Congress leaders from Karnataka, like Kharge and Moily, were against Siddaramaiah contesting from two seats, but once again, Siddaramaiah’s wish prevailed. 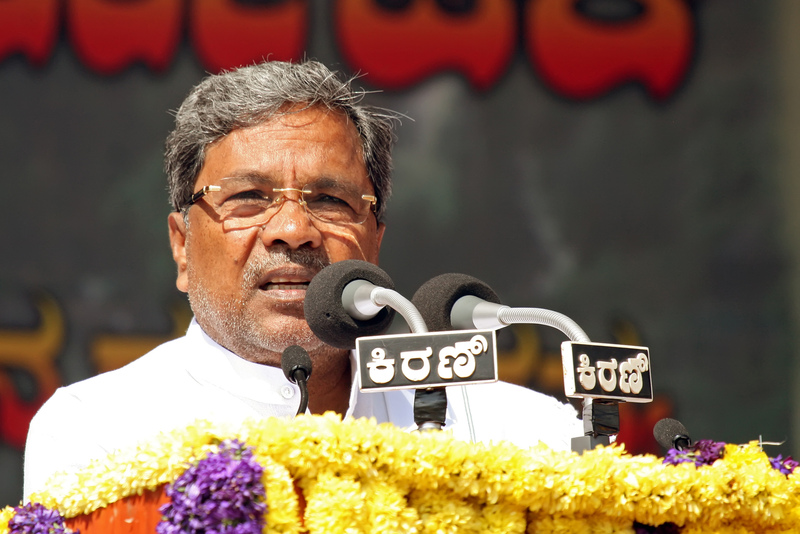 In addition, the Congress Party declared Siddaramaiah as their Chief Ministerial candidate. This is no small feat keeping in mind the tradition in the Congress Party of not declaring chief ministerial candidates prior to the elections. All this indicates the high levels of autonomy for the Congress regional branch in Karnataka. Moving to the case of the BJP, despite B.S Yeddyurappa entry into the party, and his elevation as the BJP state president, the bulk of the regional election campaign has been spearheaded by the party’s central branch, particularly by party president Amit Shah and his protégé, Bhupendra Yadav. Importantly, the BJP is still heavily relying on Narendra Modi to take charge of electoral campaign, and turn the tide in their favour. A recent report by FirstPost confirms the claims by many avid observers of Karnataka elections that the party’s central branch has sidelined BJP’s chief ministerial candidate, Yeddyurappa. It also confirms that the party’s central branch does not want Prime Minister Modi to share the stage with Yeddyurappa. Additional evidence in favour of low BJP regional branch autonomy is that the party’s central branch denied a ticket for Yeddyurappa’s son. In sum, the campaign in Karnataka confirmed the expectations laid out earlier where the differing scenarios for the Karnataka Congress branch (Scenario 2) and the Karnataka BJP branch (Scenario 3) helps explain the differing levels of intra-party autonomy for both the units. Dishil Shirmankar is currently pursuing his PhD in the School of Politics and International Relations, University of Nottingham. His research focuses on how a party’s internal organisation shapes, and is in turn are shaped by, the regional party system in multi-level settings. He tweets at @Dishil91. Image Credit: CC by Wikipeida Commons.